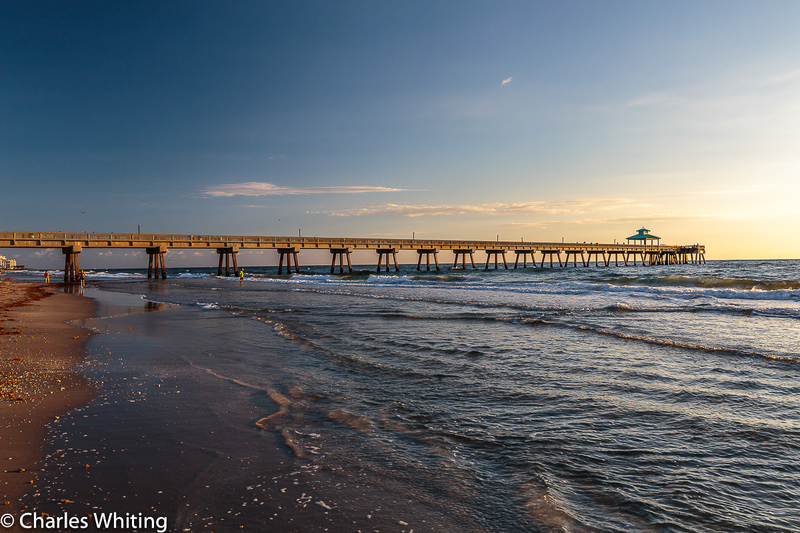 The rising sun reflects beautiful light off the Deerfield Beach fishing pier and the ocean's surface. Deerfield Beach, Florida. Photo © copyright by Charles Whiting.